Kit with right vertical pocket, industry specific inserts, demographic tables and maps. 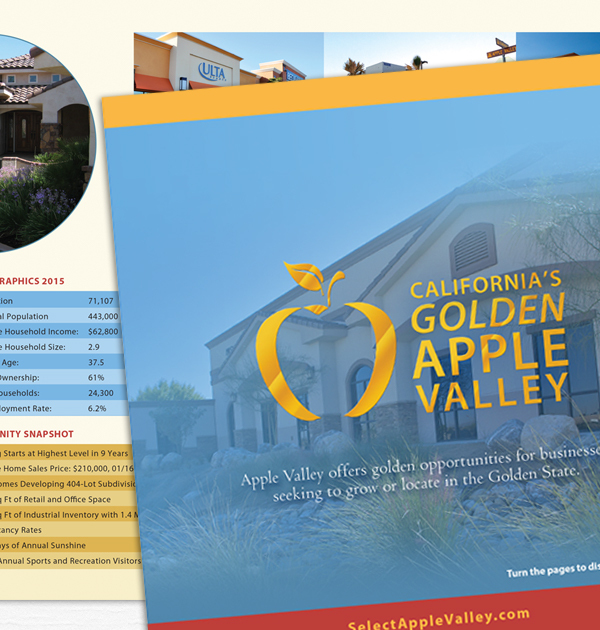 Along with an expanding business sector, Apple Valley was emerging as a destination location, drawing more than 65,000 annual visitors to local and national events. Yet without hospitality services in Apple Valley, many visitors must travel 20 to 35 minutes for overnight accommodations. 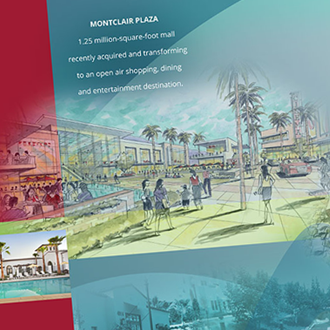 With the purpose of attracting these much needed amenities, we created a distribution packet which contained community and retail features, a marketing snapshot, demographics, and economic overview information. Materials include a press kit, industry specific insert, available listings inserts, vicinity map, demographics charts, advertising, and logo.